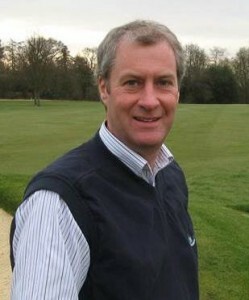 Peter formed Peter Jones Associates Ltd (PJA) in 1995, and is a well-known figure in the golf greenkeeping industry having formerly been at Woburn G &C.C. for three British Masters Tournaments, before becoming manager for design & maintenance with International Resort Holdings Plc. He has worked extensively on bunker projects, drainage, greens and course improvement projects, and has an eye for detail. Clients include: Royal Guernsey GC, Troon Municipal & Southern Ayrshire courses, Beaconsfield GC Denham GC, Northwood GC, Ely City GC, Saffron Walden GC, Sandy Lodge GC, and Mid Kent GC. See PJA golf website for case histories and testimonials. He is a seasoned speaker and trainer at BTME and BIGGA events specialising in mentoring of existing and aspiring Golf Course Managers. The latest PJA sports pitches design and project management scheme for 2015 is a £1.4m development for Hertfordshire County Council, including natural turf pitches, floodlit artificial, and MUGA sports pitches. Other sports pitch involvements include: Shrewsbury Sports Village, Surrey University, and the design of Broadstreet RUFC – Coventry, award winning Highwood School, and ACS International. Peter and his team have been heavily involved with both new design and existing pitch improvement proposals for the schools expansion schemes in the Home Counties for some thirty Local Authority schools, Parish Councils and developers. See PJA Sportsturf website.